Your Operations team will make or break your company. Opsmatic is a technology company that is going to help your Operations team be more productive and better rested so they can deliver less downtime, more performance, and less surprises. Jim Stoneham has been developing innovative products and services for over twenty years and is currently the co-founder and CEO of Opsmatic, a real-time configuration monitoring service. His previous startup, social commerce platform Payvment was acquired by Intuit. He was Vice President of Communities for Yahoo! Inc., working on many of the company's social initiatives and community products, including Flickr, Answers, Groups, Delicious. Before Yahoo, he was a Founder and Principal Consultant of Tangibility, a consulting firm focused on startups and new business ventures in the consumer products, web services and social media spaces. Prior to Tangibility, Jim was Vice President at Eastman Kodak, initially leading the development and marketing of a wide array of digital imaging products to the consumer and professional markets. He later founded and managed Kodak Imagination Works, a new business incubator focused on the convergence of the imaging and entertainment markets. 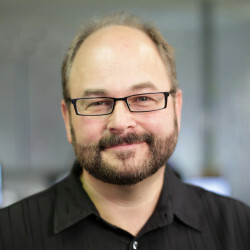 Jim also spent several years in product management at Apple, driving key products (printers, shrinkwrap software, Operating Systems) and core OS technologies (graphics, type, multimedia). Jim has a BFA in Photography and Graphic Design from the Rochester Institute of Technology. 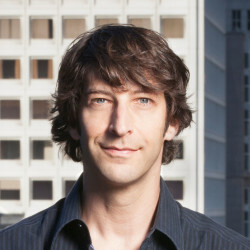 Jay Adelson is a serial entrepreneur, having built companies such as Equinix, Digg, Revision3 and SimpleGeo. Jay founded Opsmatic in early 2013, and currently serves as Chairman and Founder. Jay is also co-founder and General Partner of Center Electric, a venture firm he started with Andy Smith in 2014. Jay served as CEO of SimpleGeo, Inc., stepping in a year prior to their sale to Urban Airship in November, 2011. Jay helped launch Digg, Inc. with Kevin Rose and provided business strategy to the company starting in October, 2004. He served as CEO beginning in 2005 and officially assumed the role full time when he formally resigned from Equinix, Inc. in October, 2005. Jay left the company at its peak in April, 2010. In March of 2005, Jay founded and assumed the role of CEO of Revision3 Corporation. He hired Jim Louderback to run Revision3 as CEO in June of 2007 and remained Chairman until their sale to Discovery Communications in May, 2012. Jay founded Equinix (EQIX) in 1998 with Al Avery, and was responsible for the sustaining business model which lead to Equinix's international success. During his seven years at Equinix, Jay provided technical leadership as Equinix's CTO, designing their products, datacenters, leading research and development, and helping drive their successful IPO. Prior to Equinix, he worked at DEC's NSL, helping to build PAIX in 1996, which was purchased by Switch and Data in 2003. In 1993, he was one of the first employees of Netcom (USA), where he built and ran network operations. On July 15, 2003, he testified before the U.S. House of Representatives Select Committee on Homeland Security Subcommittee on Cybersecurity, Science and Research & Development, as part of an industry panel on The Private Sector's Role in Keeping America's Cyberspace Secure. In 2008, Jay was selected by Time Magazine as one of the 100 Most Influential People in the World. Opsmatic: recipe for disasterWhen managed under traditional server administration, automation often faces the same set of age old IT problems. Knight Capital: How one tiny mistype cost Knight Capital $1 billionKnight Capital automated not only its administrative IT processes, but also its algorithmic trading. Delta Airlines: automated fleet of flightless birdsLarge logistics operations rely on automated systems to achieve the necessary speed to perform at scale. Just like traditional, manual methods of systems administration, automated systems suffer from misconfigurations. In 2014, a bug in Google’s internal automated configuration system caused Gmail to crash for around half an hour. Marketing data and analytics company Neustar agreed to acquire marketing technology company MarketShare Partners. No financial terms were disclosed. No financial terms of the deal were disclose. No financial terms of the deal were disclosed. Founded in 2011, 1DocWay had raised $1.7 million in venture funding from iSeed Ventures, Waterline Ventures, Rock Health, Asset Management Ventures, DreamIt Ventures and others. 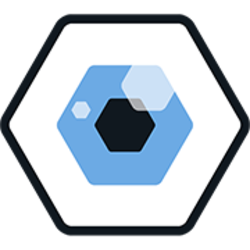 About New Relic Software Analytics CloudThe New Relic Software Analytics Cloud is a market-leading multi-tenant SaaS software analytics solution built for modern architectures. “With this acquisition, New Relic gains Opsmatic’s powerful technology that monitors configuration changes at the infrastructure level,” said Lew Cirne, CEO and founder, New Relic. Opsmatic Provides DevOps Teams with Real-time Visibility into Configuration Changes Across Dynamic Cloud InfrastructureSAN FRANCISCO–Software analytics companyNew Relic, Inc. (NYSE: NEWR) announced that it has acquired Opsmatic, a San Francisco-based startup focused on live-state infrastructure monitoring for modern DevOps teams. About New RelicNew Relic is a software analytics company that delivers real-time insights to more than 500,000 users and 12,000 paid business accounts. As a multi-tenant SaaS platform, the New Relic Software Analytics Cloud helps companies securely monitor their production software in virtually any environment, without having to build or maintain dedicated infrastructure. The card reader will process both traditional magnetic strip cards as well as secure chip-based cards, so the card reader is significantly more advanced than existing magnetic-only readers. He is a pioneer in the fields of security and networking and will be advising Sr. Pago in these areas. Based in Mexico City, Sr. Pago was founded in 2010. Provided in conjunction with MasterCard and Te Creemos, the Sr. Pago Card System is offered to individuals and small businesses in Mexico that have been underserved by existing banking services. The funding comes after last month’s launch of the Sr. Pago Card System, the first service in the Americas that combines a smartphone credit card reader with a debit card that can be reloaded with payments accepted through the card reader. After nearly twenty years of using the same recipe for employee equity, I’m taking a new approach at my new startup, Opsmatic. AdvertisementThe details of our approachAdvertisementTo address these issues, we’ve created a new approach to equity called the Dynamic Stock Pool (DSP). Independent of contribution, the larger option packages are dolled out to super early employees (or co-founders) and rock stars. AdvertisementThe rationale I hear is that early employees take more risk around an uncertain future, so they should get higher compensation. AdvertisementThe rise of secondary markets has complicated matters and created a pervasive myth that employees can sell their stock early.